Business signs didn't matter much to me then. Except when they are exceptionally unique or humorous, I probably wouldn't even notice them. That was before I saw this video from Coca-Cola. Today, whenever I see one, I wonder at the story behind it and think of the person and reason behind it. Women have always been at the very foundation of businesses whether be it in small-scale sari-sari stores or in big corporations. 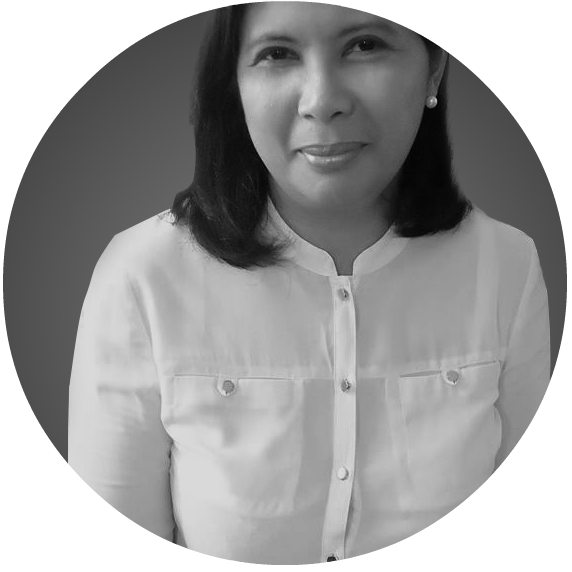 In the Philippine setting, this is very evident in small to medium-sized businesses where the women entrepreneurs are into the day-to-day operation. We usually see them performing all roles related to the business, seeing no need to make any distinction as long as it will help push the business forward. It is no secret that most women face many barriers when they try to succeed in the marketplace. It was never easy to penetrate it and it still isn't. Recognizing that women all over the world form the pillars of the business system, Coca-Cola has taken the initiative to help women entrepreneurs through the 5by20 Program. The 5by20 program of Coca-Cola is the company's global commitment to empower 5 million women entrepreneurs throughout its value chain composed of producers, distributors, recyclers, suppliers, retailers, and artisans. It seeks to address the most common barriers encountered by women in their bid to succeed in business. This it hopes to do by providing women access to business skills training courses, financial services, and connection with peers and mentors. Through this initiative, these women are expected to gain the confidence that comes with building a successful business. The target year is 2020, thus the name of the program. In the Philippines, it is quite common to see small businesses named after their owners. This has much to do with the sense of pride that goes with owning a business. 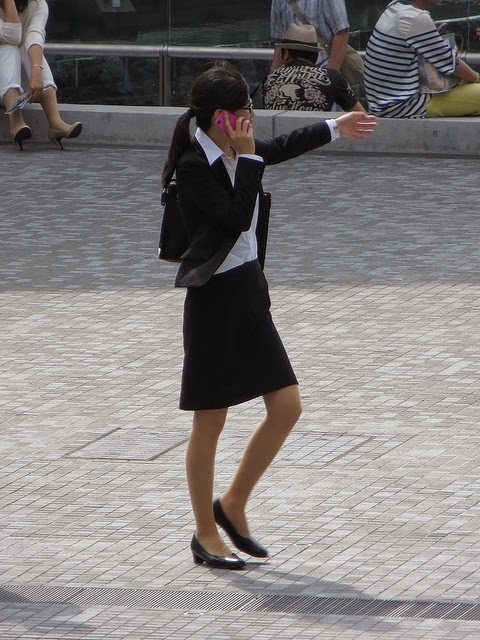 Women entrepreneurs display such pride and they show it in their business signs. 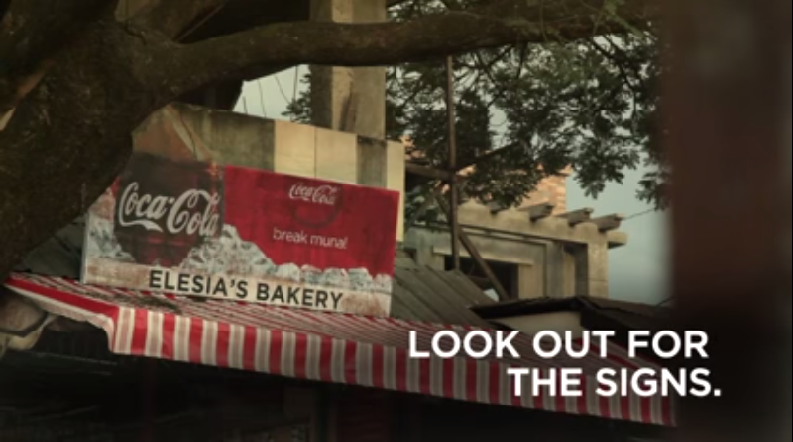 To understand this behavior a lot better, watch this special Coca-Cola Video entitled Signs of Happiness. The visible signs we see are signs of happiness since every business owned by a woman does not only benefit herself and her family but the community as well. That is the secret of happiness in operating a business - having a reason for being that goes beyond self. Empowering women, such powerful words, often used nowadays but never really quite making the mark. This just goes to show that much has to be done to make it work on a sustainable level. It cannot be accomplished without several forces working together and established companies like Coca-Cola can do a lot to make it happen faster. That said, we all have our respective responsibilities towards this goal. It goes both ways. Entities who have the funds and logistics to move this goal to fruition must make the move and we can do no less in our own capacity. The Perfect Christmas - Is it the Absence of Lack? 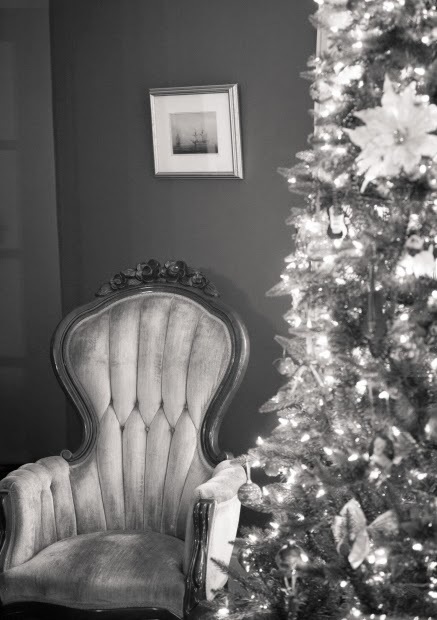 It is very easy to get caught up with the whole idea of having the perfect Christmas. Most people, including myself have visions of what could make our holidays perfect - whole and functional family, a beautifully decorated home, warm delicious food, new clothes, gifts for everybody, and that secure feeling that everything is taken cared of, financially or otherwise. Perfect isn't it? But who has such perfection in his or her hands? It depends on how we define a perfect Christmas. In every family, there are bound to be conflicts that rips it apart. The so-called black sheep may be causing monumental embarrassment to the family. Unspoken agreement of trust may have been violated. There are even deep, dark secrets that no one wishes to go back to or speak about. Sometimes, the effect of these circumstances are too much that there is nothing left to do but stay away from each other just to keep an acceptable degree of peace going on and so family members find themselves going their separate ways. Being in a less than ideal family set-up can be very painful especially during the holidays. We see so many picture-perfect scenes of families around us that our "lack" seem to be more pronounced than ever. Friends in a sense can be our family but during holidays, most will be with their biological families. It is lonely to have no family to speak of back home. Nowadays, it seems happiness has a monetary tag attached to it. This is not necessarily a selfish behavior. Even the simplest meal or cheapest gift that can put a smile on the face on our precious loved ones' face comes at a price. Let us not even talk about grand and lavish dreams and concentrate on the most basic "requirements" to celebrate Christmas. There are people who can barely make it day-to-day, much more come up with modest holiday preparations. Again, the more abundance we see around us, the more obvious our "lack" becomes. Age has taught me a valuable lesson. I cannot have everything I want and therefore I will always "lack" something or at least feel that way at varying points in my life. Through time, I have learned to remove my focus on what I don't have but rather give due attention to what I have. Whatever I have now - my family, my work, my small joys and big challenges are all precious. That said, do I yearn for the common idea of perfect Christmas where there is absence of lack? Sometimes I do but most of the time I don't because doing so leaves me frustrated, stressed, and even angry. These are the very emotions that I least need during such a wonderful day as Christmas. I resolve therefore to change my definition of Perfect Christmas as a season or day where I have what I and my family needs. I wish to be happy and I will never be such if I insist on having everything I want and so will you. Most of us take having a clean toilet for granted, much more so just having a toilet for ready use. In many areas of the Philippines however, many less privileged communities do not have access to a single clean toilet facility. It is because of this sad truth that people affected by this lack sees the construction of a new toilet facility or even the repair of a dilapidated one as a reason to celebrate. In a typical fiesta scene, people will be rushing to the streets as they are drawn to the sound of a marching band. They expect to see the star of the celebration who could be a movie celebrity, a beauty queen, or a politician. Unilever Philippines through Domex, in its efforts to contribute to the One Million Clean Toilets Movement, created a video featuring a most unlikely star of a fiesta celebration - a new, clean toilet facility. 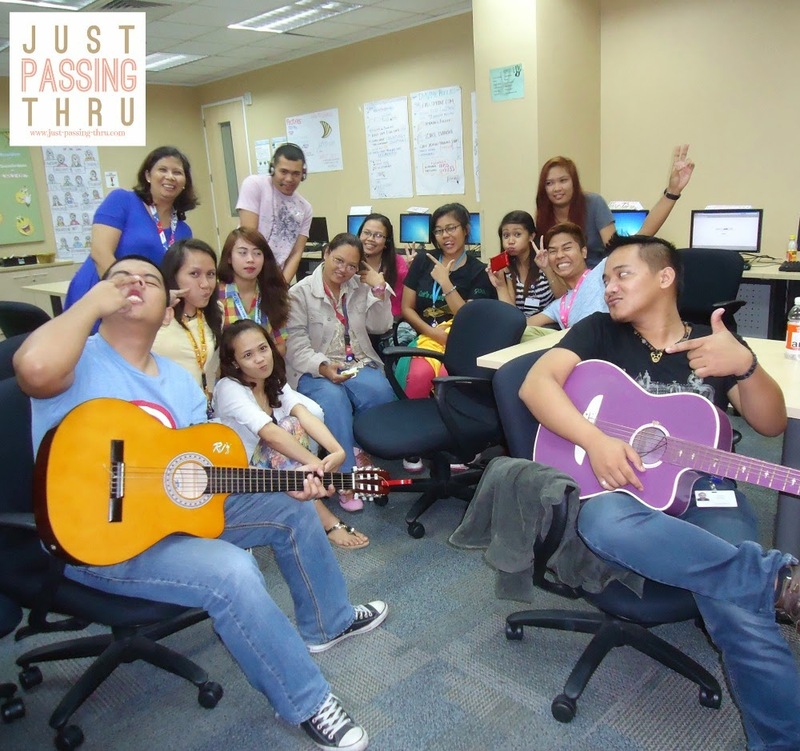 Domex Brand Manager Dennis Chua explains the reason for creating the "Fiesta" Domex video. He said that it is intended for people to realize the value of a toilet which most of us take for granted. Unilever Foods and Home Care President Benjie Yap adds that the company hopes that the video will raise awareness for toilet appreciation and sanitation. This is while helping less privileged communities gain access to clean toilet facilities. People all over the country are becoming more and more aware of of the role of clean toilets in disease prevention especially among children. The Department of Health estimates that there are about 3,420 diarrhea-related deaths among children under 5 every year. These deaths are quite regretful especially with data showing that about 2,000 of these cases could have been prevented by having access to safe water, improved toilet sanitation, and personal hygiene. I echo what Dennis Chua said that this video should serve as a wake-up call for all of us. The little things we take for granted like having a clean toilet are actually remote realities for many. We should be considering ourselves fortunate if we do have access to one. That said, having a clean toilet can save millions of lives and we can do our part by simply watching the "Fiesta" video and asking our friends to watch it as well. Each unique view translates into a pledge for the advocacy campaign which collects pledges from households to conscientiously maintain their own hygienic bathrooms. For every pledge received, Domex will donate P5 to UNICEF’s sanitation program, towards improving access to basic sanitation in deprived areas around the world, including the Philippines. Lazada launches the Online Revolution on 11 November 2014. This is touted as the biggest sale of the year in Southeast Asia. Those who are familiar and excited about Black Friday, Cyber Monday, and Singles Day could easily appreciate this, especially since the Lazada Online Revolution 2014 promises to be bigger than these three. For one month up to 12 December 2014, shoppers can take advantage of sales, promotions, and discounts courtesy of the region's leading online retailer - Lazada. Lazada offers a wide range of products including mobiles, tablets and consumer electronics, fashion items, household goods, toys, and sports equipment. It likewise offers effortless shopping through its fast, intuitive, and secure online shopping platform. Convenience and peace of mind in paying for purchases are also offered via payment methods that include cash on delivery. The Lazada Online Revolution 2014 promises to start with a bang on 11 November as a day of mega sales. Every hour from 11 am to 11 pm, there will be a flash sale with up to 250 deals across each category. Flashsale Friday - it’s fastest fingers first every Friday for timed deals and steals. Ready, get set, click! For more updates and details on the upcoming Online Revolution Month, please subscribe to our channels via Facebook (www.facebook.com/LazadaPhilippines), LINE (@LazadaPH) and WeChat (@Lazada_PH). Bargain hunters can also visit Lamido, Lazada Group’s online marketplace, for other revolutionary deals. Lamido is a C-to-C buy and sell platform, empowering merchants and consumers an easy way to conduct safe transactions. I'm sure Asian shoppers would be happy to know that we finally have a Southeast Asian version of Black Friday and Cyber Monday, which are both much awaited shopping events in other parts of the world. The Online Revolution sale event includes companies and shopping websites in Indonesia, Malaysia, Thailand, Vietnam, and the Philippines. From hereon, Online Revolution will be an annual event. That said, who can say no to great shopping deals especially if one has plans of buying such items anyway? 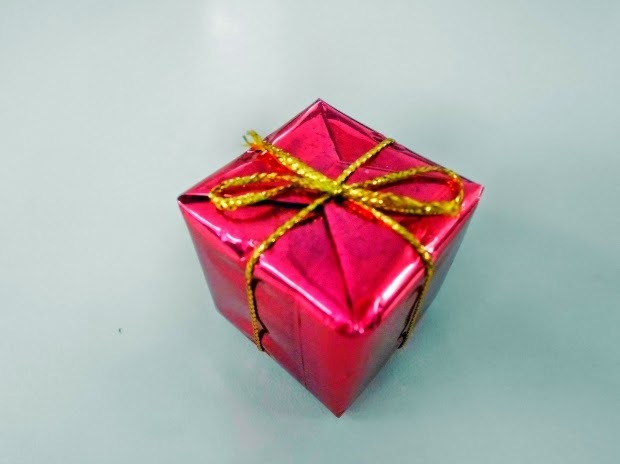 With the coming holidays, everyone is on the lookout for the best buys whether for personal use or to be given as gifts. What I particularly like about online shopping is the lack of pressure to buy. I buy when I need it or want to. To get them in the lowest price possible is a bonus. The Online Revolution just gave me one more reason to be ready for wise buys during this time of the year. Family is generally defined as a group composed of parents and children living together in one household. When we speak of family therefore, we almost always refer to blood relations or those who are biologically connected to us. Is it possible therefore to have a family beyond blood relations? In my opinion, it is. 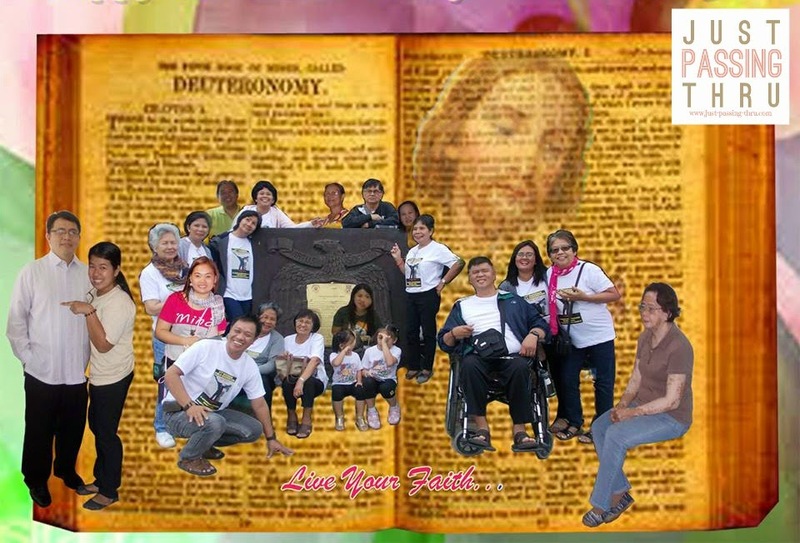 Families are supposed to be characterized by harmony, acceptance, respect, and love, in spite of differences. While these are always desired attributes of family, not all biological families will have them. There is a popular adage that blood is thicker than water, simply meaning that we can rely more on our blood relatives for support than our friends. But aren't we better off if we have both since there are times and situations where only our friends can come to our rescue even if our blood relations are willing to help? For most people who are working, it is almost impossible not to be part of a particular group. Most of the times, it would be department-based. Some would form their own family of friends based on common interests. Not all work-based groups will become a family. A person who finds a genuine family at work is more able to cope with challenges knowing that support is constant even when career competition exists. The community in which a person lives in provides another source of family that is not blood related. A group of people driven by the same goal of making life better will most probably become a family through time. This is especially so when the group goes through trials and comes out still together. I am blessed to have two other families other than my biological family. I have been with my BEC family in our village for more than two years and with my Wave 37 family at work for less than two months only. My time with these two groups have proven that the length of time together is not necessarily the most important component of forming real families. It is more about the genuine care for each other that develops. That said, I thank these people who have become part of my life and are continually helping me take care of my biological family even more. I count myself fortunate for having them in my life. 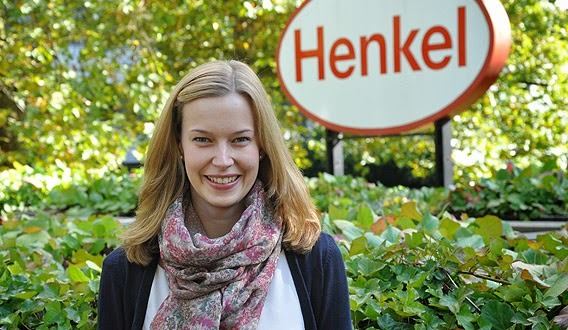 Henkel Innovation Challenge 8 : Create.Learn.Grow. 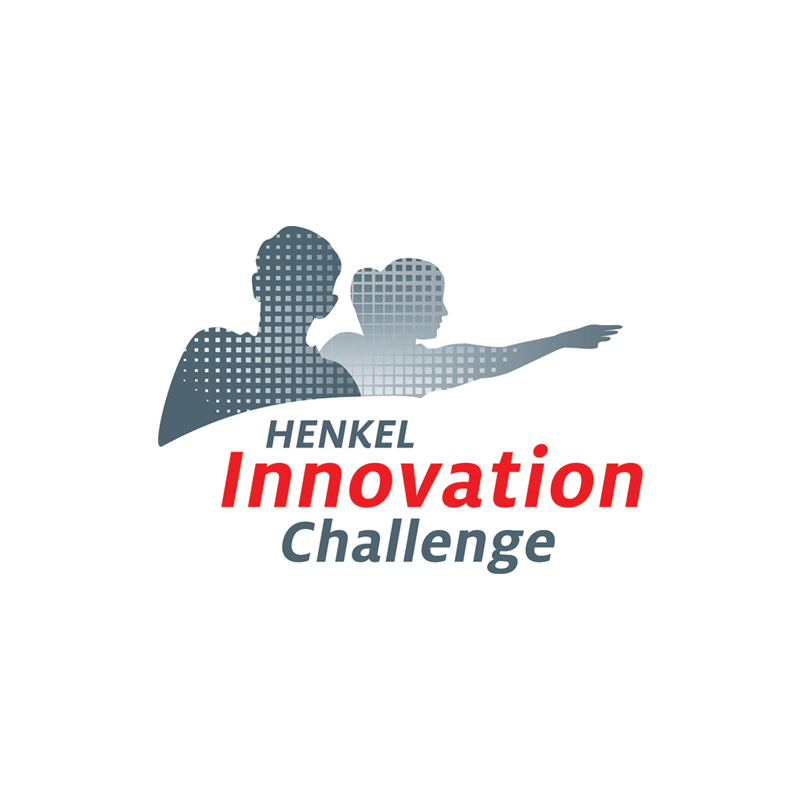 For seven consecutive years since year 2007, Henkel, makers of globally known products including Persil, Schwarzkopf, and Loctite has been sponsoring the Henkel Innovation Challenge. Henkel is organized into three globally operating business units namely Laundry and Home Care, Beauty Care, and Adhesive Technologies. The Henkel Innovation Challenge is focused on innovation specifically in these areas. Now on its 8th year, this student competition continues to drive home the point that innovation is the key to success. Henkel Innovation Challenge 8: Create.Learn.Grow. Once again, the Henkel Innovation Challenge motivates students to create an innovative concept while having the chance to be coached by Henkel managers, to compete with students around the world, learn about sustainability, and to bring their creative and management skills to the next level. This year's theme is Create.Learn.Grow. Register online as a team of 2 students and submit an idea for an innovative and sustainable product or technology for a Henkel brand in 2050. Successful registration will provide access to an e-learning platform with helpful material, hints, and tips. Submission is completed by stating motivation to participate and providing CV information. 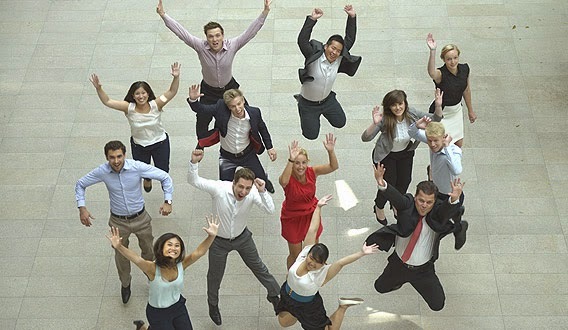 Joining the Henkel Innovation Challenge offers extraordinary opportunities for mentorship as Henkel top managers take on the task of developing participants' projects while training their skills. Being an international competition, joining provides opportunities to meet like-minded people. This is not merely competition as participants are expected to have fun networking with their peers from different cultures. Also, it is a chance to have a real business experience with one of the world's leading companies at that. Of course, there are the fabulous prizes to provide added motivation to compete. The first winning team stands to win a ticket around the world and 10,000 €. The second and third winning teams will be awarded travel vouchers worth 4000 € and 2000 €, respectively. The three winning teams will also be invited to the Henkel Headquarters in Dusseldorf to meet CEO Kasper Rorsted. The many success stories as told by many participants to the previous challenges highlight the point that the journey does not end when the competition does. This has been proven by those who went on to build their respective careers with Henkel. Some saw the competition as the perfect way to introduce themselves to the company, an opportunity that is not usually available. Behind every product or innovation is an individual or group of individuals who dared to dream of the possibilities and acted on it. Excellent products are never an accident. They are the results of meticulously working on ideas until they actually benefit their intended users. That said, the very reason why competitions like the Henkel Innovation Challenge are relevant is the fact that there will never be more than enough of good products. As human needs evolve, so should the products that cater to these needs change. We learn and grow as we create. It started with a simple dream to make children happy by giving toys at least once a year. That dreamer was Aga Muhlach who just happened to be starting what would be his long-time collaboration with Jollibee Foods Corporation. Thus, 20 years ago, Jollibee MaAga ang Pasko was born. 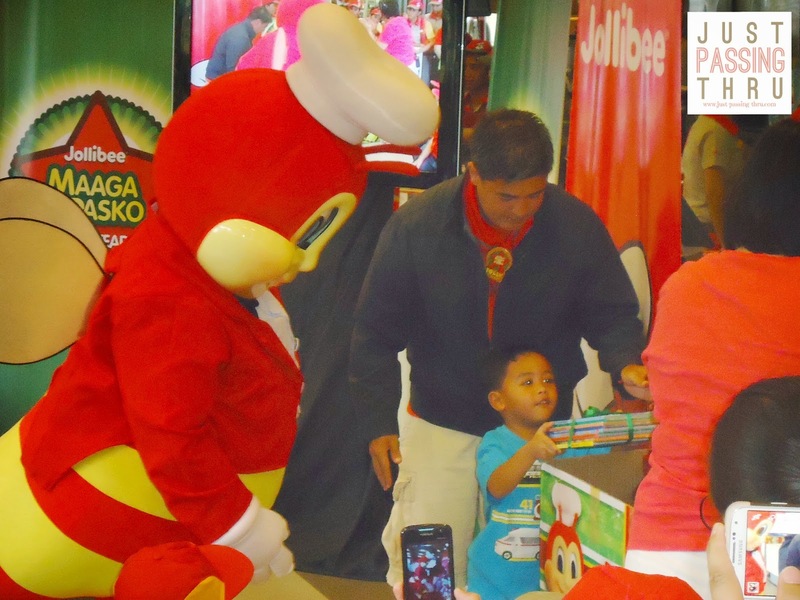 Jollibee MaAga ang Pasko is a toy and book donation campaign. During the first year, Aga decided to celebrate his birthday via a live show of his sitcom wherein toys will be accepted as entrance tickets. The purpose was to get toy donations which will be brought to an orphanage and the rest as they say is history as Aga and Jollibee partnered and worked together to make this yearly event something to look forward to. Although Jollibee MaAga ang Pasko will always be associated with the Christmas season, Aga points out that it is not time or season-limited at all. Maaga ang Pasko is often interpreted in the local parlance as good fortune that came early. This project operates the same way thus the presence of Jollibee MaAga ang Pasko in efforts to give joy to those affected by natural calamities for example. 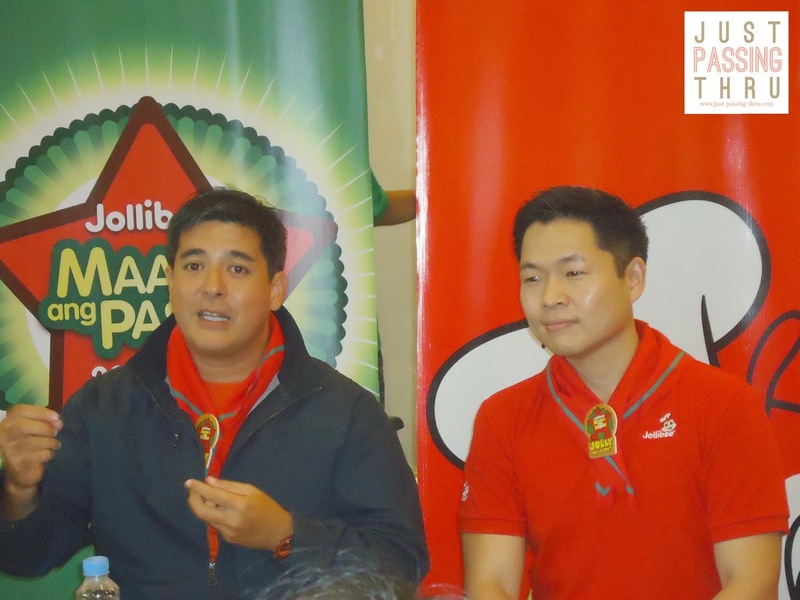 Mr. Harvey Ong, Vice President for Marketing Marketing at Jollibee Foods Corporation shared that the public should expect more from this yearly event as Jollibee continues to make its presence felt in other countries. He also shared that other companies are expected to join and collaborate in this event, taking it to an entirely new level of coverage and reach. This simply means more opportunities to make children happy with the gift of love through toys and books. 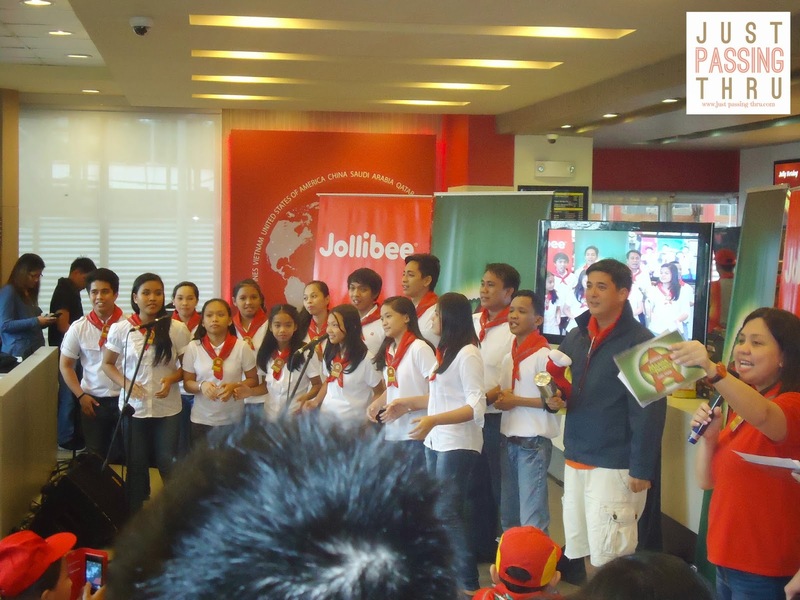 Jollibee MaAga ang Pasko was launched in South Luzon today at Jollibee Canlubang. The people were serenaded by the Lumen Anima Chorale with Pinoy Christmas Carols. 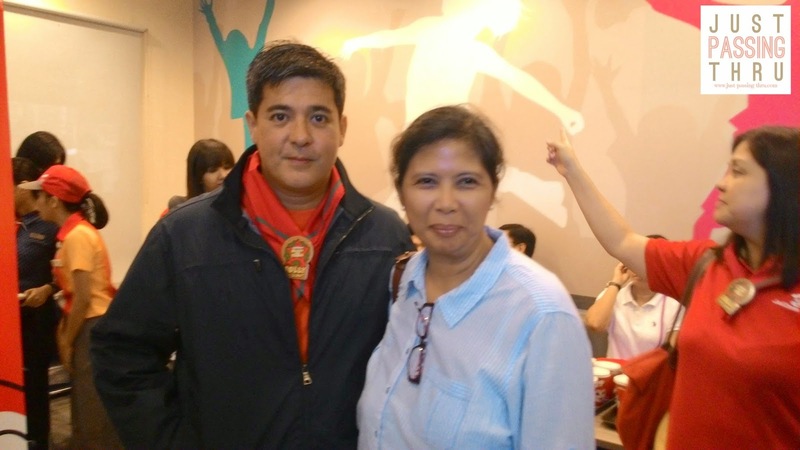 One of the highlights of the event of course was the special guest appearance of the original Jolly Toy Scout, Aga Muhlach. The main reason for this campaign however is not to be forgotten. Aga did the honors of putting in the first donated toys and books in the designated box. He was followed by the Jolly Toy Scouts. After which, the Jolly Toy Scouts went around to collect the donation of the others in the event. Jollibee will be holding 20 caravans across the country this December wherein they will be distributing toys and books collected from customers and JFC employees to select beneficiaries. Everyone can make this Christmas season the jolliest ever for children by donating new or pre-loved toys and books to Maaga ang Pasko boxes located in all Jollibee stores nationwide. 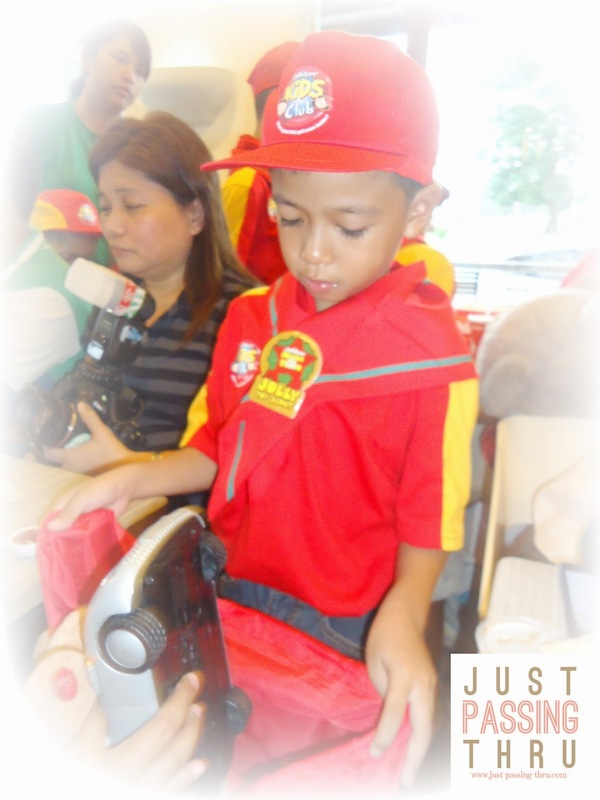 To make an online donation, visit www,jollibee.com.ph and click on the Maaga ang Pasko microsite. It has been said that one proof of a program's effectiveness is the length of time it has existed. With the launching of Jollibee MaAga ang Pasko's 20th year, there is no doubt that this campaign sparked by a sincere desire to give happiness to children will be with us for many, many more years. 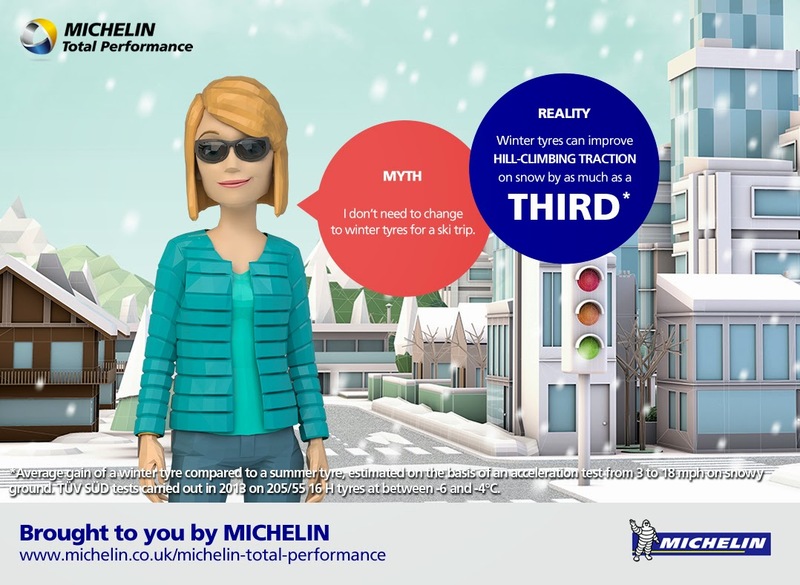 A lot of myths surround winter driving. For us to be able to take the necessary precautions during extreme weather conditions such as winter, we need to know the truth behind all these myths. Mothers have to face winter conditions with their children at the back seat of the car as they go about bringing them to school, shopping, and commuting to work and that is an unavoidable part of life. 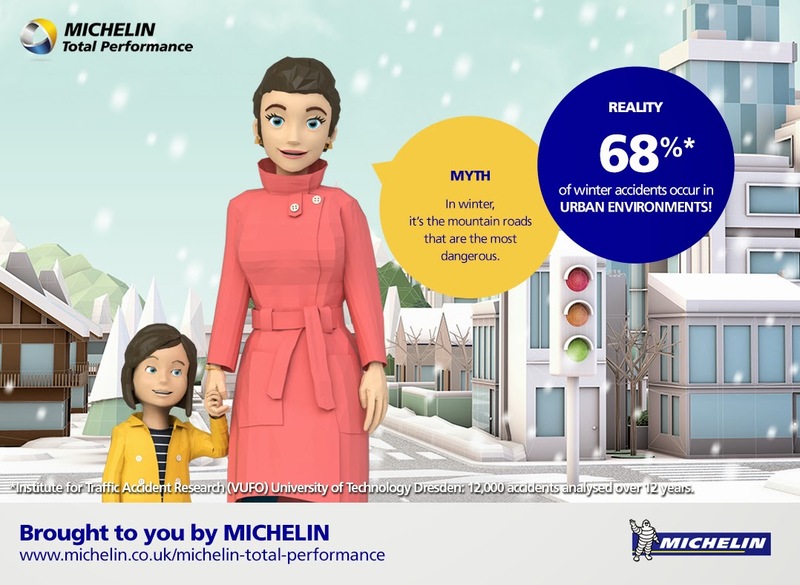 It is a good thing that Michelin Road Usage Lab has come out with timely tips based on extensive research to explode and debunk some long-existing myths. Snow is the biggest driving menace. Truth: During the winter season, 95% of road accidents do not happen on snowy roads. One study from VUFO reveals that 57% of accidents happened when the road wasn't even wet. What does matter is the temperature. Rubber hardens and reduces its grip when exposed to cold weather. Cold-weather tyres are specifically designed to reduce the impact of hardening, enabling them to maintain their good road grip. It is important therefore to ensure that the right rubber is used, whatever the weather forecast is. The city is safer than than the country. Truth: Those twisty and turny tracks in rural areas are not exactly very appealing to driving mums because of the common impression that accidents are more likely to happen while negotiating these roads. The fact is, fewer accidents happen in the countryside as over 2/3 or 68% of reportable incidents in winter happened in the city. Well-lit and well-salted urban streets can actually be riskier than mountain tracks. This is because frequent stop-start driving increases the chances of skids and shunts. It just makes perfect sense that more braking and more cornering equate to more opportunities for something to happen. Preparing your car for winter makes the difference. Switching to winter tyres will keep your family safe. Winter tyres mean snow tyres. Truth: Many drivers think that winter tyres only work on snow-covered roads. Winter conditions go beyond those white stuff but also include cold weather freezing fog, heavy rain, and black ice, among a long list of possibilities. The ability to be able to stop when needed is very critical in winter and cold weather conditions. 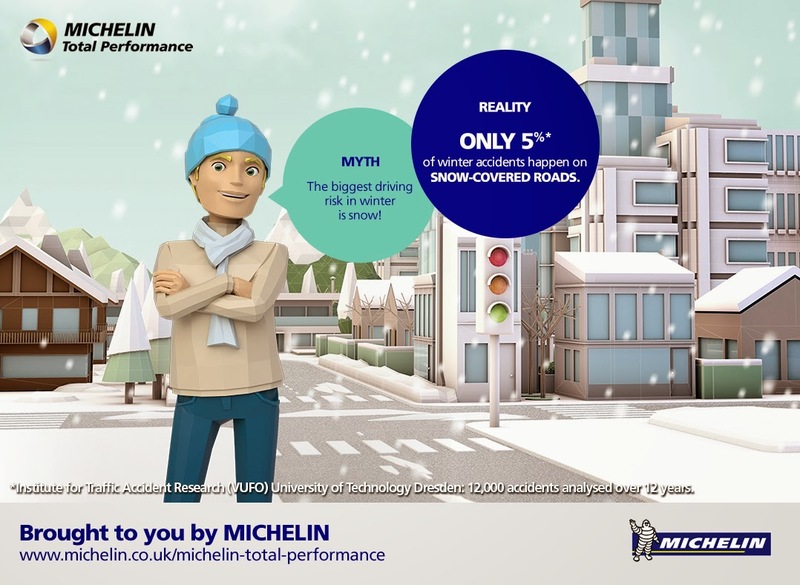 Winter-grade tyres perform much better under braking in all cold conditions. A properly equipped car will take 4 meters less distance to stop from 49 mph at under 6 degrees centigrade. That's a whole car's length distance! It's not worth changing tyres for a short ski trip. Truth: While this may not be applicable to driving to holiday ski homes that are just a few miles away like most people have in UK, it is always worth changing to winter tyres for that couple of hours drive to your holiday home. Ski slopes are just that - slopey, and having proper winter tyres increases traction on hills in cold condition by a staggering percent. The right tyres will get you up a 13% gradient and will keep you safe going down. Winter tyres slow you down. Truth: Some people complain that winter tyres feel heavy and sluggish. Driving on snow and ice can certainly feel that way. The important thing to remember is that cold-weather tyres perform more efficiently than summer tyres on such condition. Acceleration is one area of concern here. It makes perfect sense to be careful about your speed in winter. Winter tyres can get you moving three times faster than summer tyres on snow because of the better grip and low-temperature performance. Mums can never be too careful when it comes to their families. Why risk accidents that can be avoided with the use the proper product and common sense? 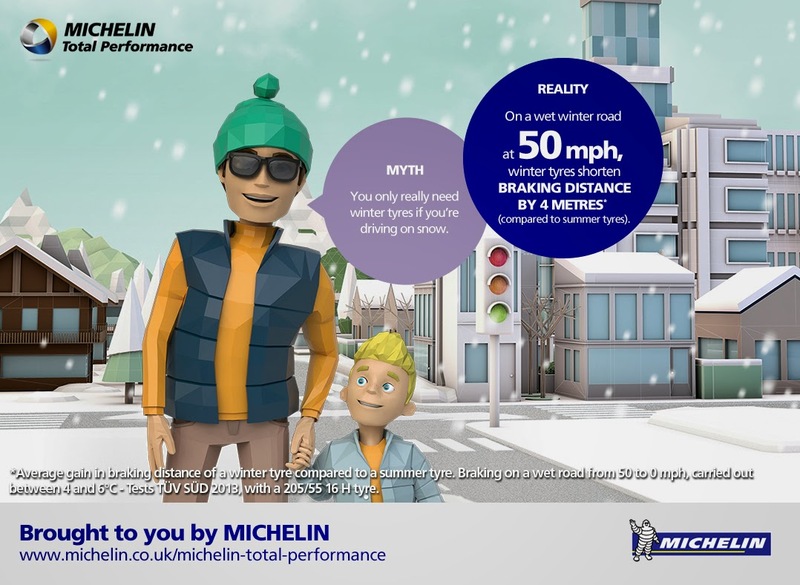 Michelin, the company from Clermont Ferrand has been continuously studying how people drive for more than 125 years and does not intend to stop. By watching thousands of drivers each year in hundreds of varied driving conditions all over Europe, it continues to uncover fresh insights how people really use their cars today. It does so with one purpose which is to provide the safest driving experience possible. That said, now I can say that I have gained very helpful tips, if and when I do get the chance to drive on such weather conditions. At best, people look into the idea of time travel with much skepticism and disbelief. This is not very difficult to understand considering that it has not been known to have been successfully carried out physically. But how about time travel through the mind? 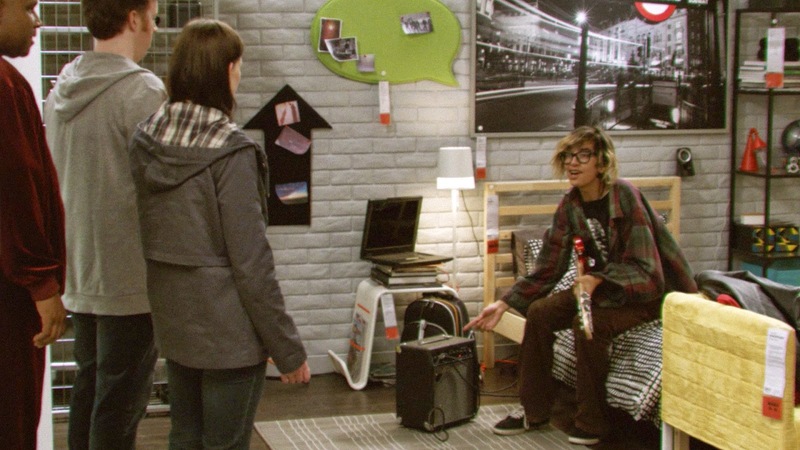 IKEA takes us to this possibility one more time through its Time Travel Experiment No. 2, this time with couple Jeff and Beth. Most people would indulge into thinking about their future but it is not always easy to do so in a realistic manner. How do we create a situation that can possibly approximate our future? 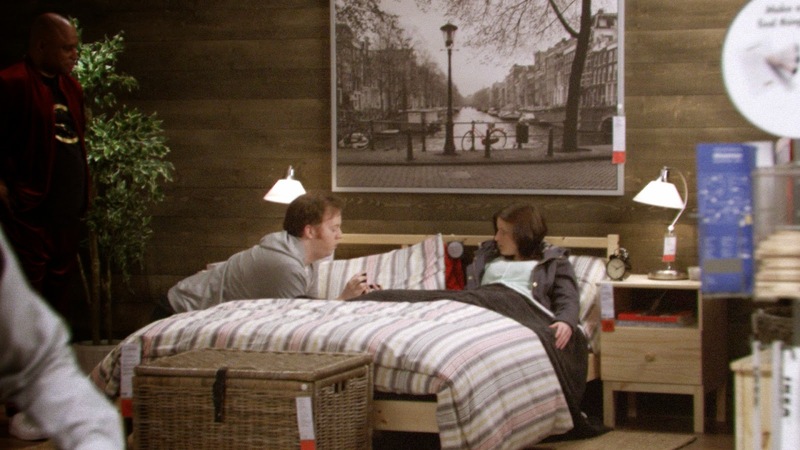 IKEA helps its customers imagine possibilities right in its own bedrooms and bathrooms. Through the help of world-renowned hypnotist Justin Tranz, Jeff and Beth do not only get to imagine their future but experience it as well like it was happening now. For couples like Jeff and Beth, taking their relationship to the next level is the nearest possibility. How would Jeff pop the question? How would Beth react? After marriage comes kids. How they would fare as spouses and parents will always be special points of interest for them. How would they fare with a five year-old son or a fifteen year-old son for that matter? How will Jeff as a father answer his five year-old son's awkward question of "Where do babies come from?" Will he be able to provide an acceptable answer or will he just skirt the issue like most parents are wont to do? 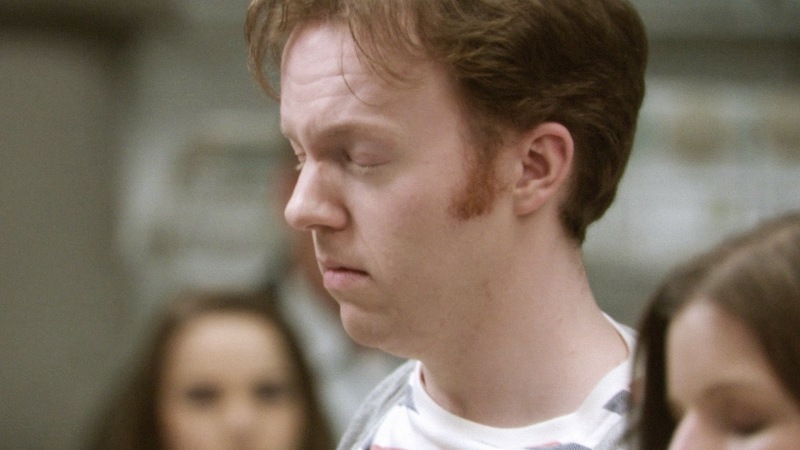 How will the couple fare with a fifteen year-old son who considers what most people would call noise as music? Will seeing a glimpse of that future prepare them more? 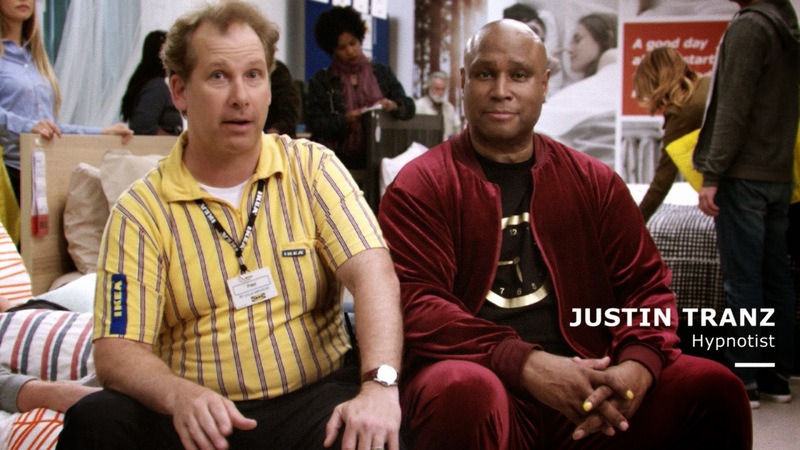 Jeff and Beth got to experience all of these moments with the assistance of Justin. They were allowed to go through different future periods of time while in a deep state of hypnotism. While the power of suggestibility was very much expected to work with Beth who was open to this kind of ideas, skeptic Jeff still proved highly-suggestible enough to go through the motions while believing that everything presented to them was real. It was very interesting to hear Jeff say that he will be a good dad. Beth was hinting on changing a few things. Experiencing the future probably has a way of making what we really want a lot clearer. 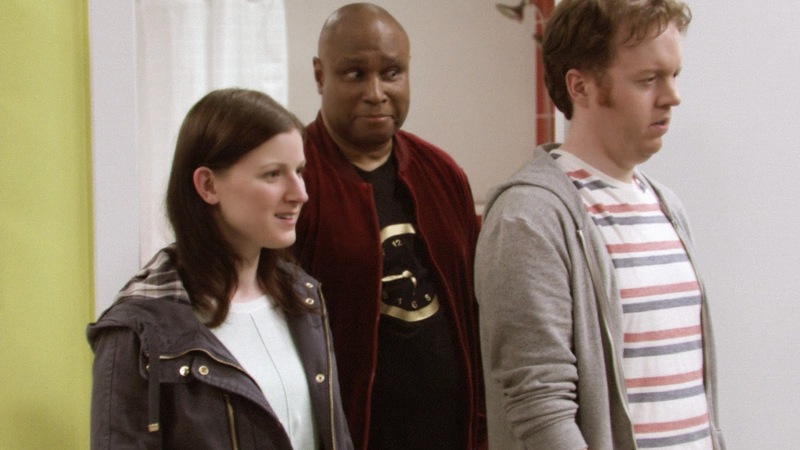 To complete our story, here is the full video of Jeff and Beth's time travel through hypnotism. I have always wondered what I would do if were to know what will happen in my future. Sometimes I feel like knowing but then again sometimes I'd rather not know. Families make more memories at home than in any other place. Every room tells its story. 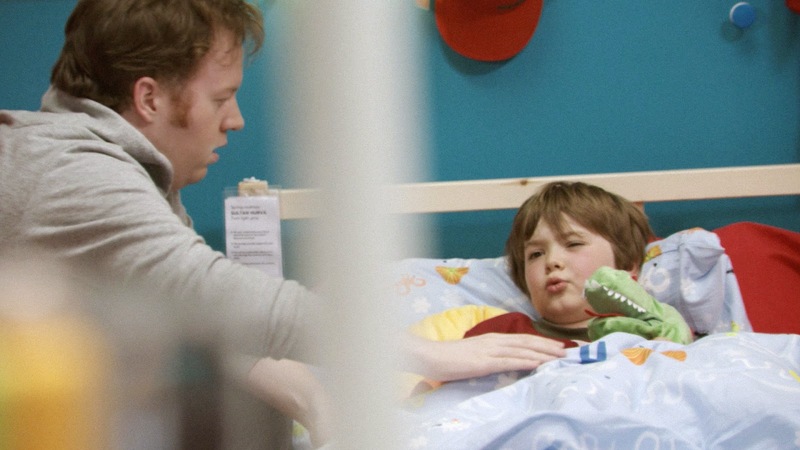 Find your future bedrooms and bathrooms in IKEA as you and your family make memories together. That said, remember that while we cannot totally control our future, we can always manage it a little more with wise decisions at the present time. It has been our yearly practice to give our children's classmates small tokens every Christmas. Most of their classmates (or their classmates' parents) are very generous in giving them gifts. We figured it was just right, though not necessary, to give something back no matter how small, thus our yearly search for Christmas tokens. 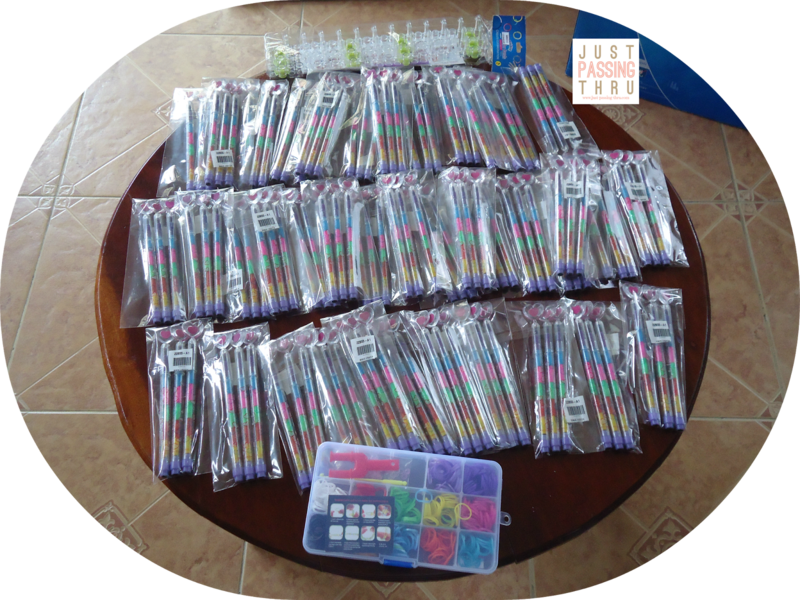 For the past years, we have been giving items like pencils, button pins, key-holders, mini picture frames, small toys, and just about anything we think will make young children happy. There were also a couple of years that my children gave their classmates handmade book markers and Christmas trinkets. This year, we found what we were looking for very early and it came on the very first day of the "ber" months of 2014. Early this year we have decided to make our lives a little less complicated by doing the things we needed to do anyway as early as possible. 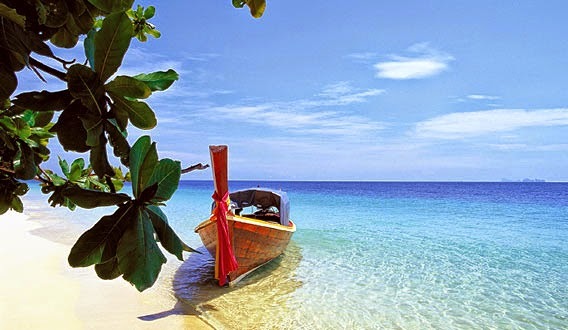 The plan was to do necessary tasks if and when opportunities present themselves. Though buying the yearly Christmas tokens was not yet on the priority list, we chanced upon Ai Online Shop during one of our usual web searches looking for another product. My young daughter saw one product that she thinks will be suitable to give to her classmates this Christmas. 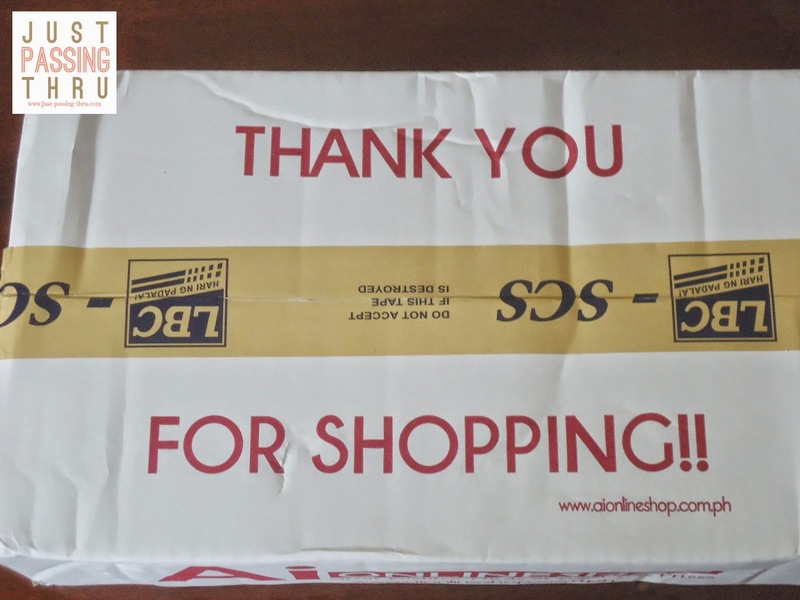 Since the cost was not that much anyway and we will end up crossing out one item in our to-do list for the year, we acceded to her suggestion and the items were delivered 3 days from the date of our order. 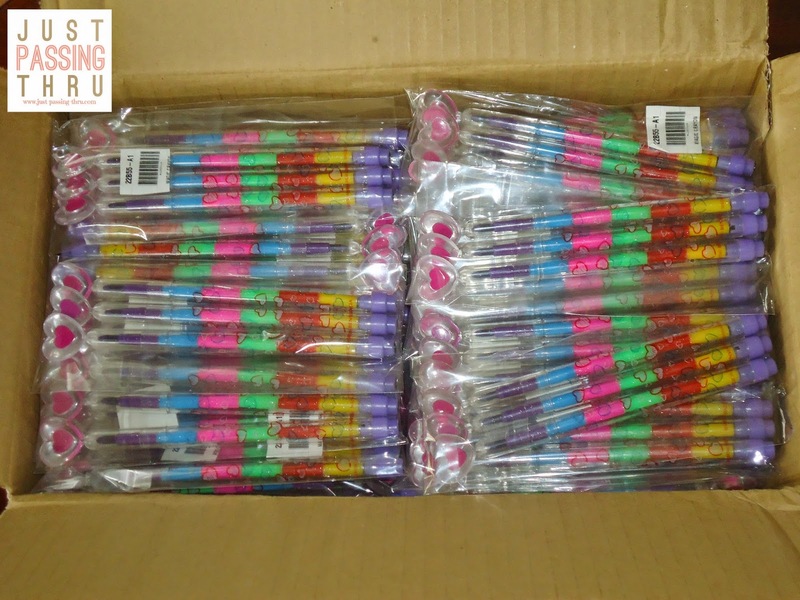 These are the magic crayons ordered by my daughter for P 22 each. There were actually a lot of choices but she has set her heart on this item. Ai Online Shop offers a wide range of products including clothes, accessories, bag and wallets, beauty and wellness products, mobile accessories, school and office supplies, toys, as well as home and living products. This early buy represents one less task to think about especially during the often chaotic Christmas shopping rush. 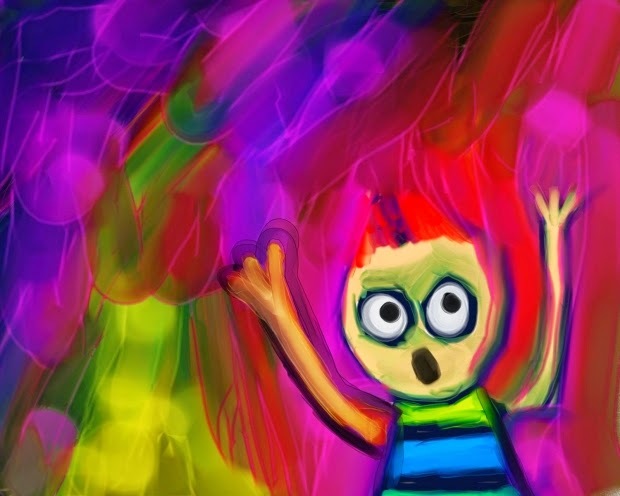 The total cost of the magic crayons she ordered left her with some money to spare. She asked us if she could use the remaining money to buy something for herself. She chose the 12 color loom band maker kit and the loom board. I didn't have the heart to say no as she has been asking to have them since the loom band craze exploded. I realized that has been quite awhile already. As we rarely find the time to go out and shop for things anyway and to reward her for her patience, we allowed her to make the additional order. These comprise what has been delivered to her yesterday. For someone who has been a wary online shopper, I think I'm finally getting the hang of it. My previous experiences including this one have been thankfully quite convenient and pleasant. What I especially like about online shopping is that I have the time to think over and over before I make any purchase. There is absolutely no pressure in having someone wait for me to make a purchase or not. That said, I am now finally willing to admit that online shopping is a very good option for shoppers who don't have time to go to stores. Of course, there will always be a need to visit physical stores for some of our purchases. For those purchases however wherein such effort can be dispensed with, online stores serve their purpose quite well. Quality bags do not come cheap. This is why we must choose bags that will be able to stand the test of time not only in durability but in style as well. How many bags still in excellent condition are languishing somewhere in our closets just because they are too identified with past trends? 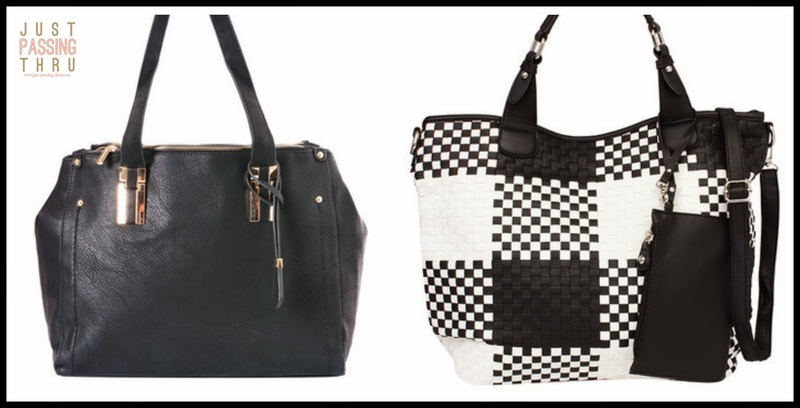 We would need to choose bags that will look trendy in several seasons, if not years. I make it a point to have at least one bag for each basic color like black, brown, and white. Our bags must be able to serve their purpose especially for the required space without sacrificing style. Choosing a bag without considering its functionality may result to bags being damaged early. Over-stuffing bags tend to affect their form, shape,and their serviceable life since they are made to bear more than their standard capacity. 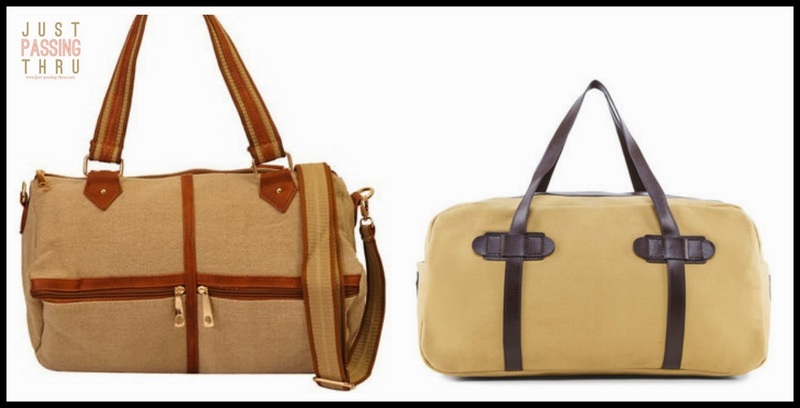 Sturdy canvas bags like these work very well for me. It is a fact that we use the bags we like more than the others. 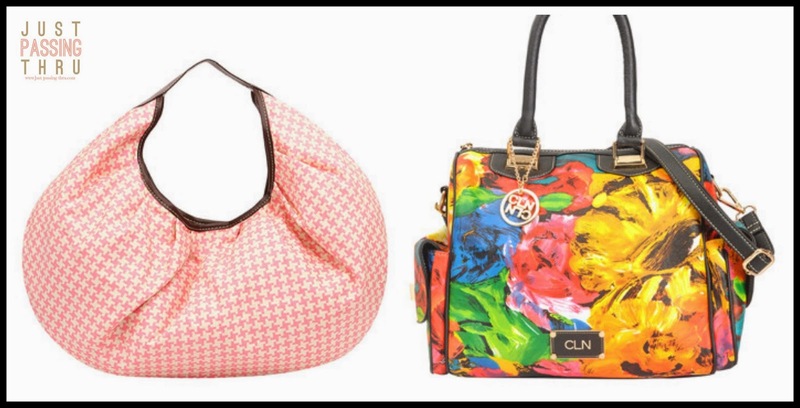 Bags that we choose based on our personal taste reflect our personality. Showing a bit of personality through our bags manifests our individuality. I have always been partial to crocheted items and interesting details in any item so that would explain why these two bags caught my attention. There are days that we just want to look different. I have always been on the safe side when it comes to color and design of bags. I make sure however that I have a bag or two that offers variation. I find them very suitable with my outfits that border on the boringly plain side. I really do not have much time to go to department stores to shop. Lately, I have been finding out just how convenient it is to shop online. 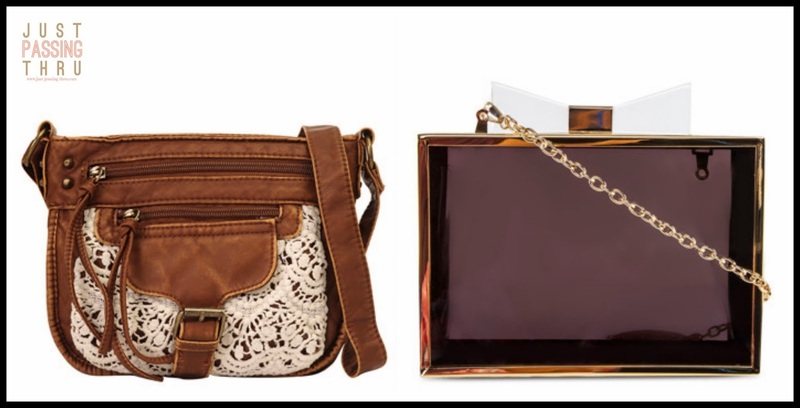 For my bag needs, I've discovered that I can find the best selection of bags at Zalora Philippines. This is where I found all the bags shown here. That said, I consider bags as necessities. So I need them to last and I want them to have the look that I would like to bring with me. How about you? How do you choose your bags?